Bengaluru: Water Resource Minister M.B. 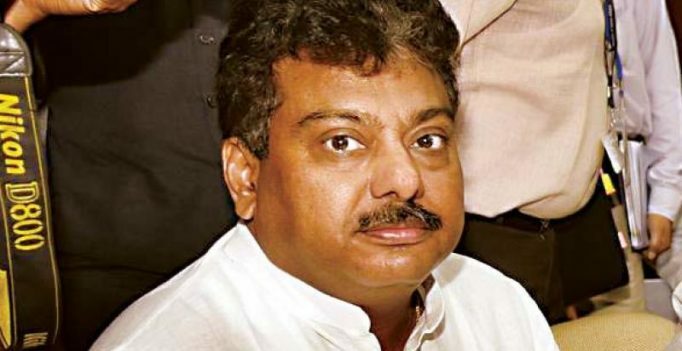 Patil believes that after the Income Tax raids on Energy Minister, D.K. Shivakumar he could be its next target in the run-up to the state Assembly elections. Speaking to reporters here on Wednesday, he claimed he had “definite information from reliable sources in the Income Tax department” that he too would be raided. “This is a ploy by the BJP to tarnish me and weaken the Congress in Karnataka,” he maintained. The minister, however, did not specify the grounds on which the I-T department could target him. Mr Patil, who has business interests in North Karnataka, has reportedly figured in the secret diary seized from a Congress MLC some time ago. The diary is said to have details about the payments received from various sources and made to the Congress high command. Asked whether he was in panic mode after the raids on Mr Shivakumar, he denied that he was anxious. “I have filed a statement of my assets and liabilities before the I-T department and Lokayukta. I will welcome the I-T sleuths with a bouquet if they come to my doorstep,” he said. “I had called the press conference much before the raid on Mr Shivakumar. I just want to convey a message to the BJP and the I-T department that what they are doing is incorrect. They are targeting me in the run-up to the polls as I am a Lingayat community leader in the Congress. The I-T department should stop targeting Congress leaders,” he said. When it was pointed out that the I-T department had also recently raided the residence and business establishments of BJP MP G.M. Siddeshwara, he claimed this was done only to make the government seem neutral and spike allegations that the BJP was using it to target the Congress. Now, there’s a new kind of chocolate in town, and it is pink!